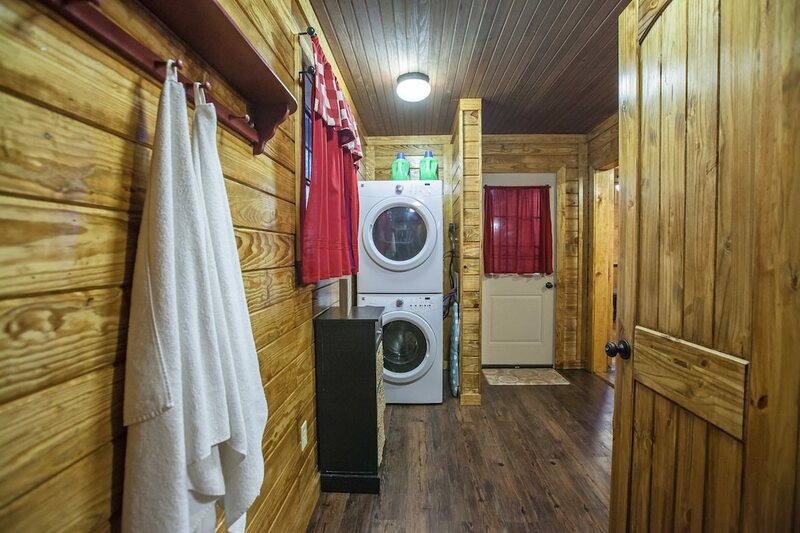 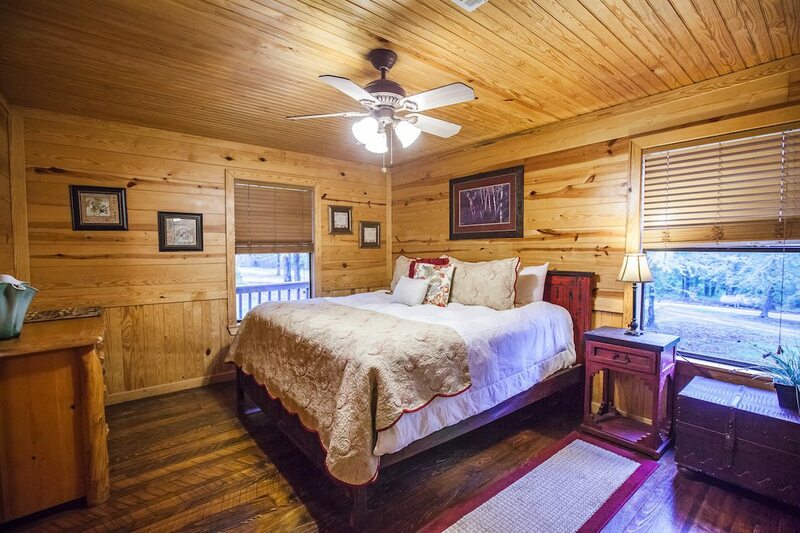 This one bedroom cabin features a king size bed with luxurious Downlite linens. 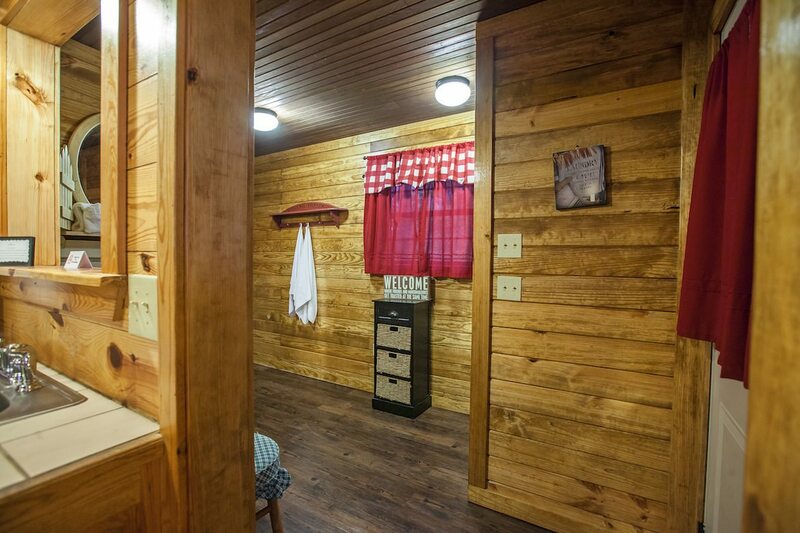 The den has a queen size bed and queen size foam sleeper sofa and also can be used as a separate sleeping area with doors that close it off from the rest of the cabin, giving this cabin two separate sleeping areas/bedrooms. 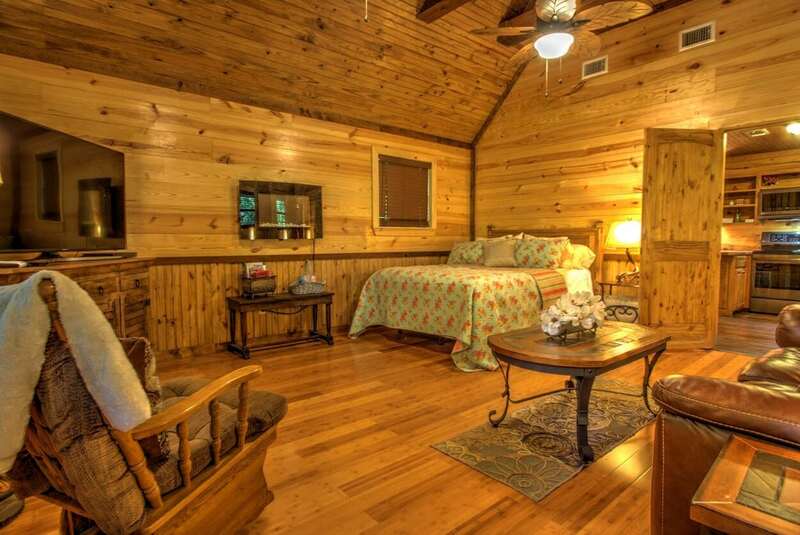 Sunset Ridge is also equipped with a queen size inflatable mattress so it sleeps up to 8 so long as part of your crew are small children. 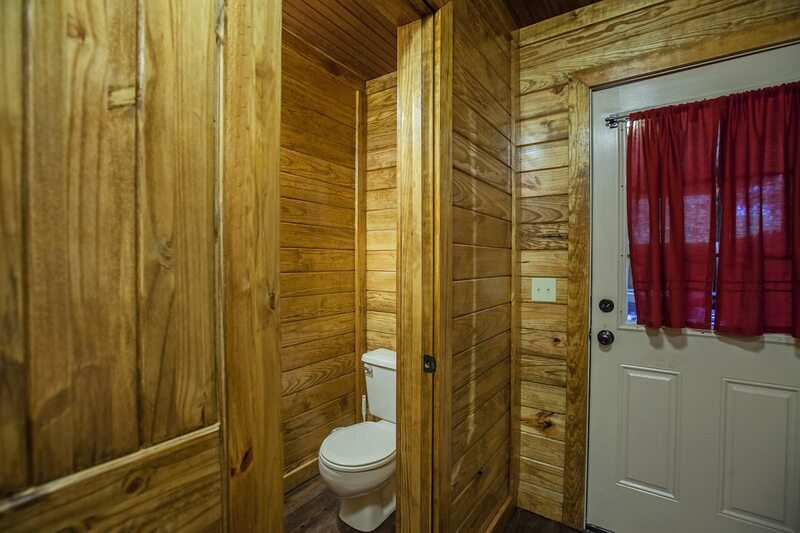 It would be comfortable for up to 4 adults. 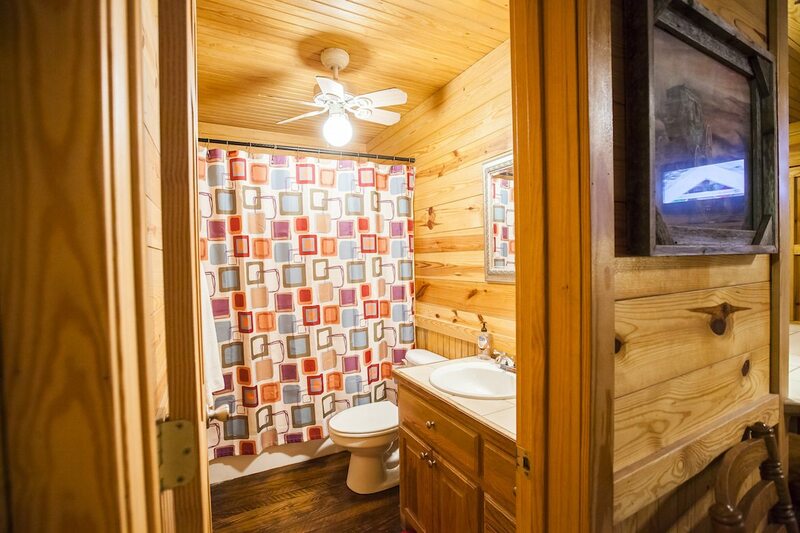 Bathroom 1 has a combo tub/shower unit and bathroom 2 is a half bath only with no shower or tub. 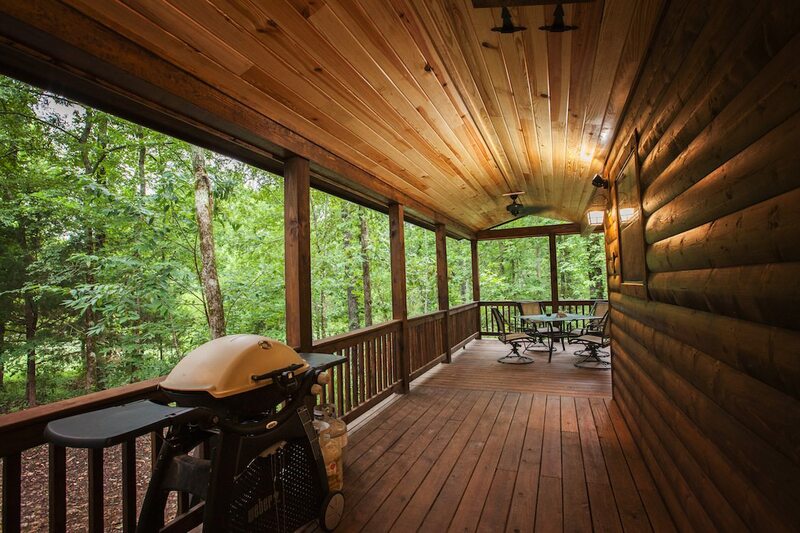 Enjoy the large deck, the hot tub, gas & charcoal grill and outdoor fire pit all year long. 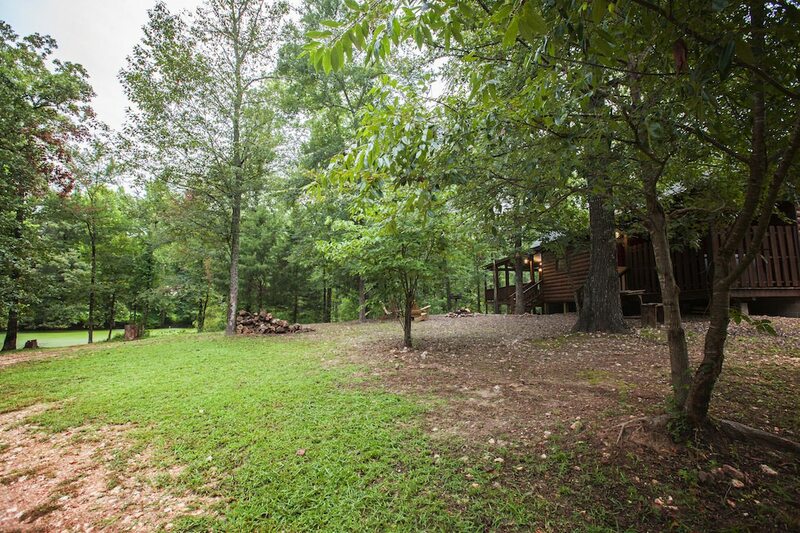 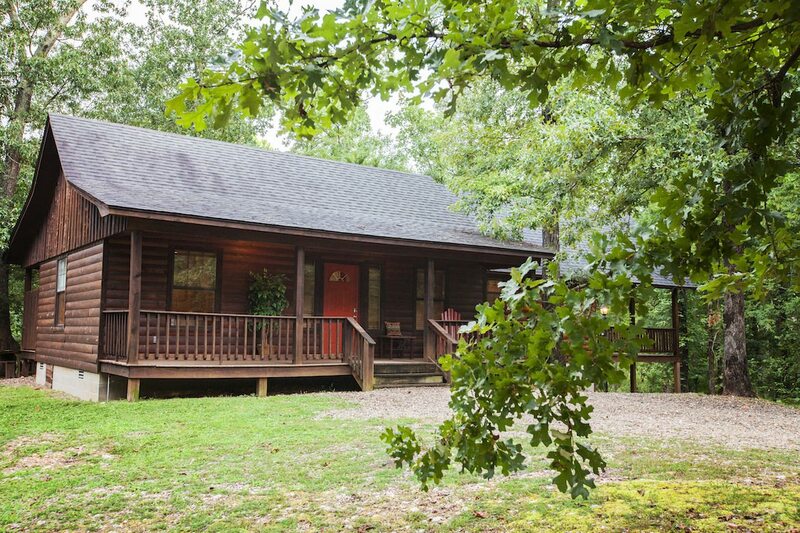 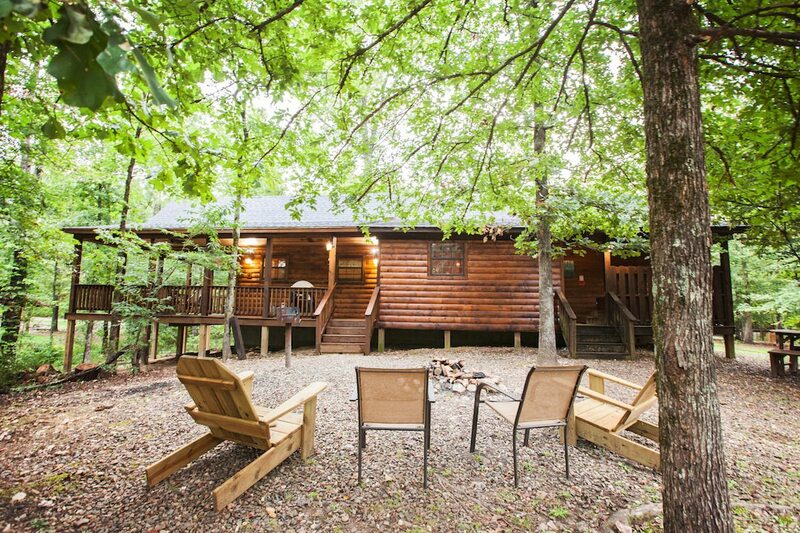 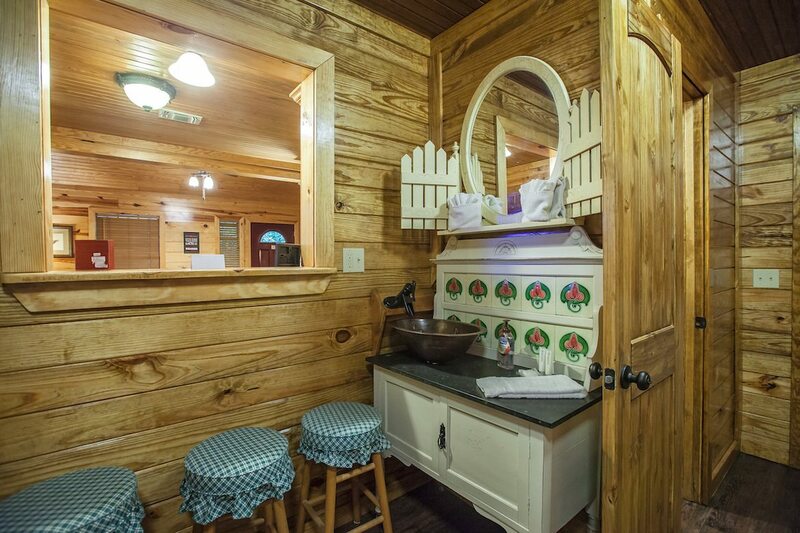 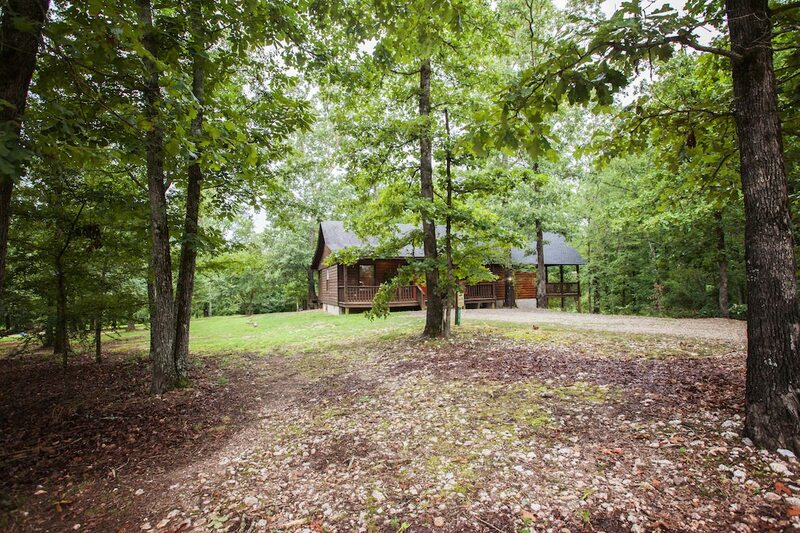 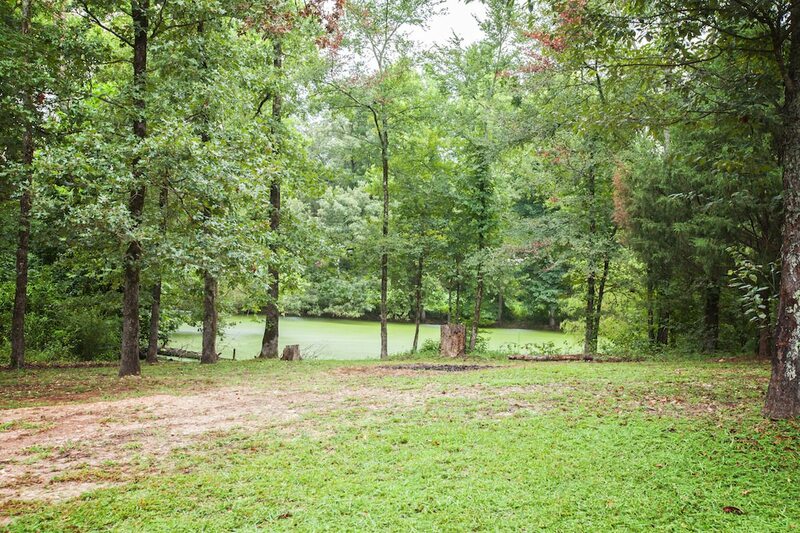 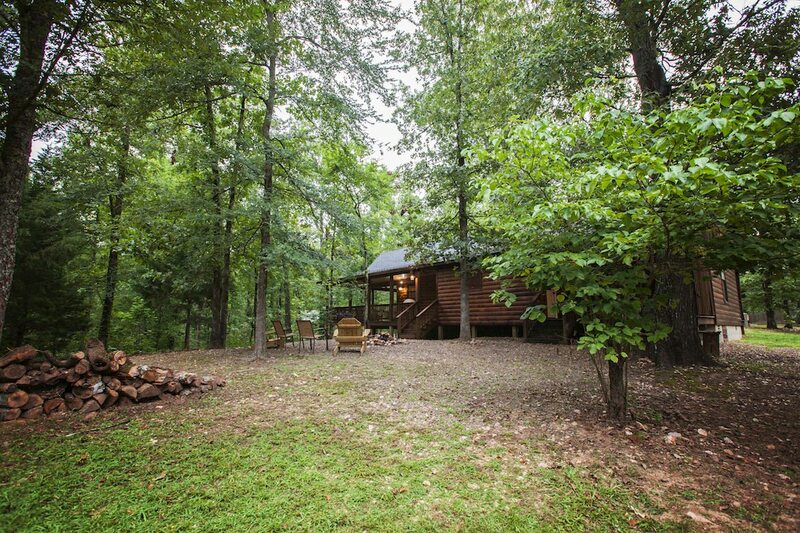 Minutes from Broken Bow Lake and Beaver’s Bend State Park, Sunset Ridge, Broken Bow Cabins, offers everything you need for a getaway in the woods or time on the lake. 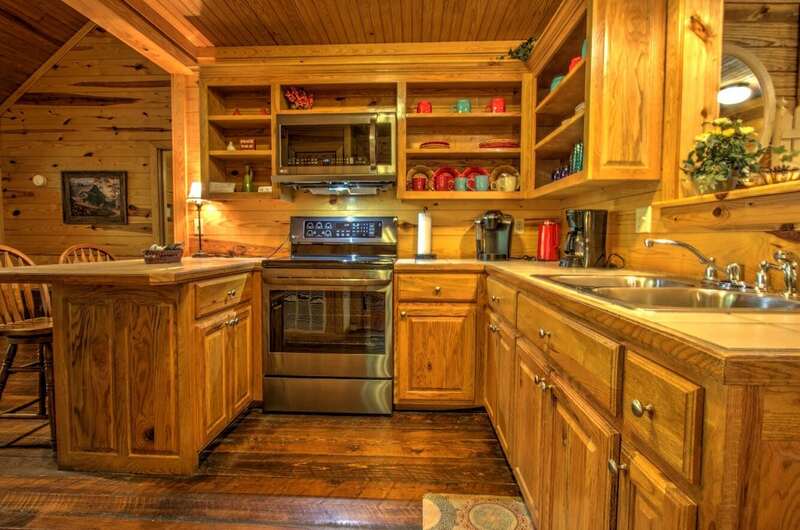 Make breakfast in the fully furnished kitchen before heading out to the lake. 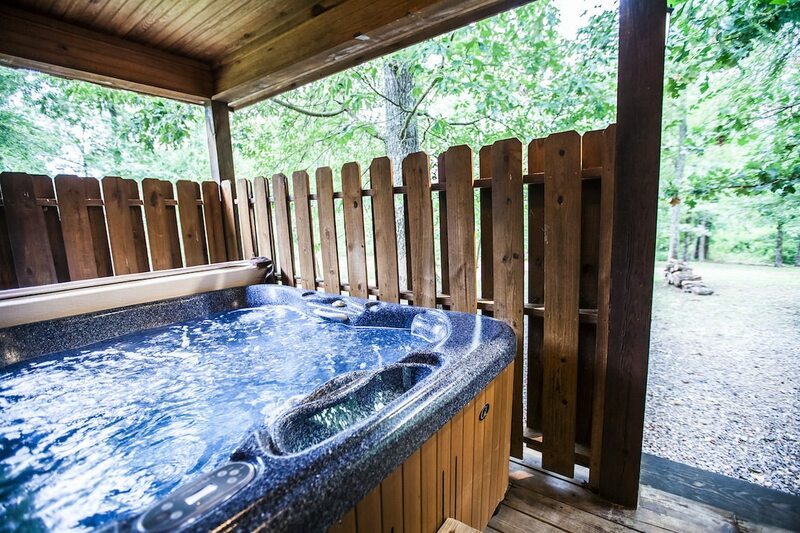 Later, soak in the hot tub to melt away all those tired muscles from your day of fun. 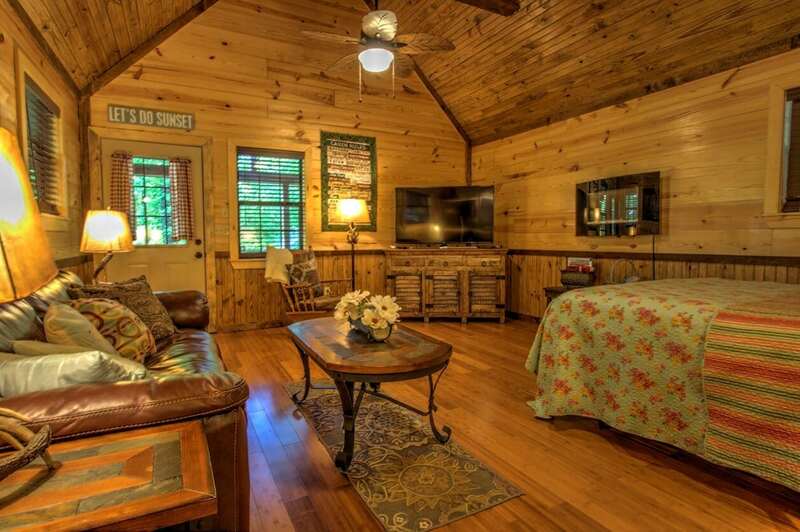 Don’t miss a game or movie on the 55 inch High Definition television located in the den or one of the 40″ TV’s located in the master bedroom and on the deck. 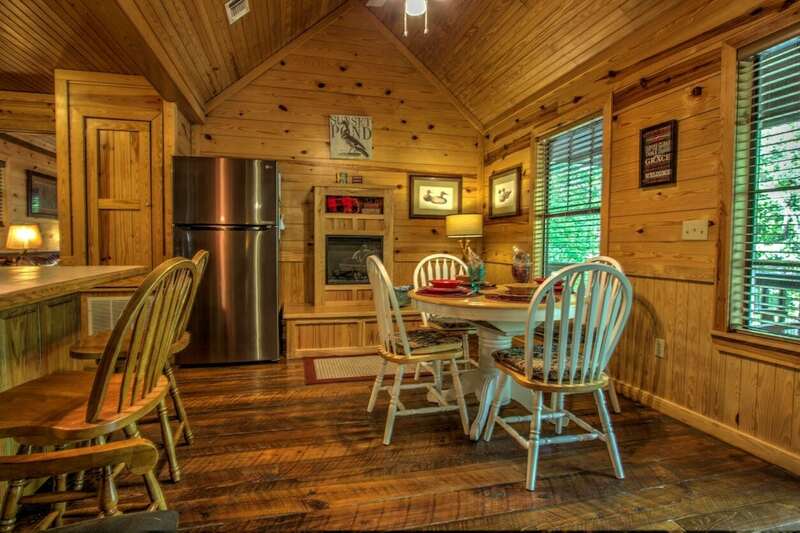 Bring your own movie and use the DVD-VCR or listen to your favorite music on the CD player. 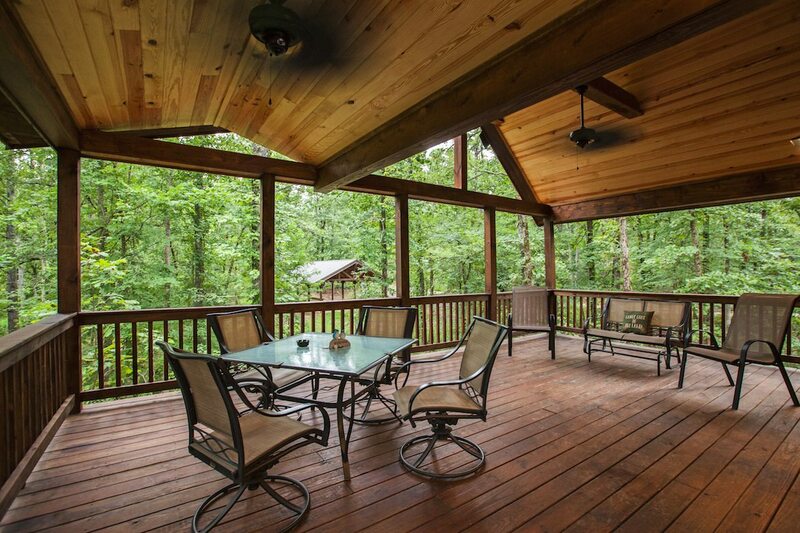 Sunset Ridge is pet friendly for dogs up to 30lbs so bring your fur baby and enjoy!